Another year, another season, another challenge! 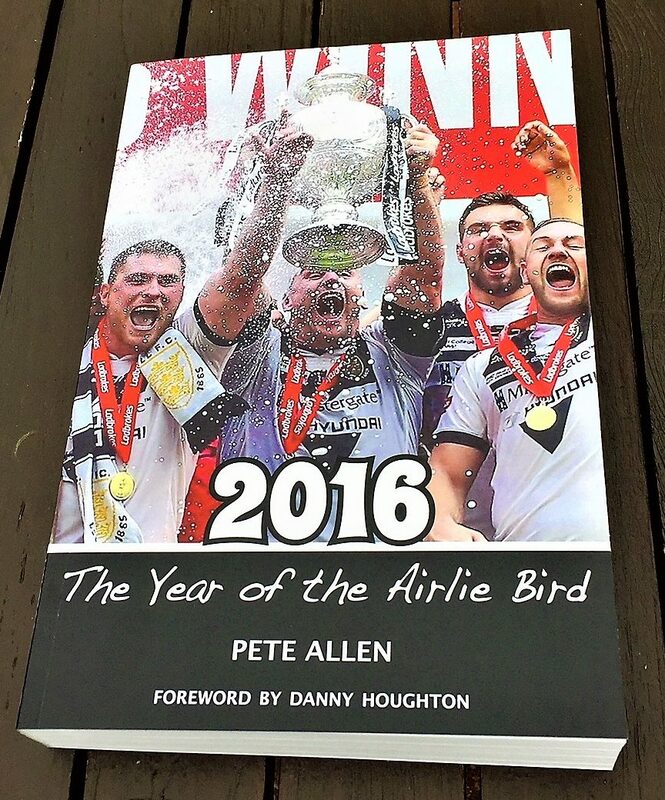 The morning of Thursday 1st February will dawn full of hope and expectation for every Hull FC fan. The new shirts will be out of the wardrobe, the passes will be checked, the adrenalin will be up and we will be ready for the fight, for make no mistake about it, that is just what it will be! This is a massive game for us all and one in which, if we aren’t careful, we could really come unstuck. I know that to many people reading this, it seems foolish to describe the first game of the season as a ‘must win’, but we need points on the board early on, particularly when you consider what is to come in the next 4 or 5 weeks. “We can go as far as we want. If we believe in ourselves there’s no reason why we can’t achieve anything we want to. We’ve got to be realistic that we have to work hard and work hard for each other, but if we do that there’s no reason why we can’t develop our season”. So said Lee Gaskell of Huddersfield Giants this week and it mirrors almost exactly a comment by Gareth Ellis at the start if our own glorious 2016 campaign. For me, that says it all really, because thereby hangs the danger in such matches; at this time of year everyone thinks that they can win, that they are ready for the fray and that this is their season. Its certainly going to be a tough old night! So another week and another Friendly, which will be the last one that we see before things start in earnest a week on Thursday and I for one have certainly preferred this year’s truncated pre-season. Once again it was bloody cold at the KCOM yesterday afternoon and I know it’s hard to get too excited about such games but, I’m really looking forward to the big kick-off and by the sounds of the way that tickets are being snapped up for the game (which although on a Thursday, isn’t televised) you’re all looking forward to it too. Those of us who went yesterday probably deserved a medal for it was another bleak old afternoon, but again we saw a really heartening performance and learned, I think, a bit about how we are going to line up and play this season. It was a great run out played in driving snow and in the end an entertaining hit up as a very big Catalan Pack took on some of our first teamers, some youngsters and several of our fringe players, before we came out with a good win. “It might be a friendly but there’s no such thing as friendlies when Hull FC and Hull KR play each other”. So said Jordan Abdull before the game and hundreds of stay away FC fans wouldn’t argue with that one! Can you see their point? Well perhaps you can, I guess! It’s never easy with these games but with interest in this now regular pre-season hit up apparently at an all-time low and indeed in 2016 gates at Derby’s in general down as well, there is little doubt that such a friendly game for many is a match too far. Still it was an OK contest and an entertaining game with a great scrap near the end thrown in for good measure! Lee Radford, who was well pleased afterwards, has to decide what is most beneficial to the team’s development at any given time, for he has to ensure we get our best prepared, fittest and most experienced team out on the field for the Huddersfield game. For him, I’m sure, everything else, including a bitter local rivalry is at such times, pretty academic. Well the New Year is here and as usual we all have our hopes high, particularly before a ball has been dropped in anger, but the season is less than a month off and quite frankly, call me greedy, but I could do with a bit more of this in 2018! But then again who couldn’t! However, first and foremost welcome back to the Diary, I really hope that everyone had a great Christmas and I wish you all everything you wish for yourselves and your families in the New Year. Thanks for returning again to this weekly journal of a very average fan, which should at least start to perk up a bit as things start to get going in the next few weeks. The first of the pre-season friendlies is upon us and after a restful old Christmas (and before that the quietest pre-season I can probably ever remember), the Diary is back, whilst as a Club we are sort of up and running again next weekend, for what has become the annual ‘Contrived Beano’ against the dysfunctional ones from the ‘Land that time Forgot!’.